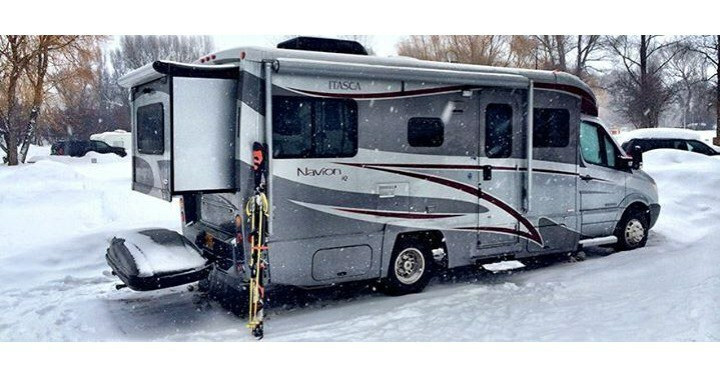 When it comes to RV adventures, traveling during the winter time means a slightly different approach to RV maintenance. If you want to adventure smoothly and comfortably, it’s important to familiarize yourself with cold-weather traveling tips. We asked some of our favorite RV bloggers and have gathered some great tips for winter-weather journeys! A dehumidifier– Winter-time humidity can cause some serious mold problems in your RV. Utilizing a dehumidifier can keep the mold at bay and your RV air fresh and clean. Tank heater– Frozen water tanks are no fun to deal with. No one wants to spend hours defrosting with a blow dryer. Use tank heaters to prevent this hassle and keep your tanks running smoothly. Skirting– skirting keeps the important pipes and lines of your RV insulated during cold temperatures. Heat tape and insulation– You can use this to insulate pipes. This is an important step to take to prevent leaks or burst pipes. Heated hose- when temperatures get cold enough, there’s no keeping your hose from freezing. Investing in a heated hose is a necessity for hooking up to water during the winter. Snow shovel- Keep the walkways around your mobile vacation sanctuary safe with a quality snow shovel. 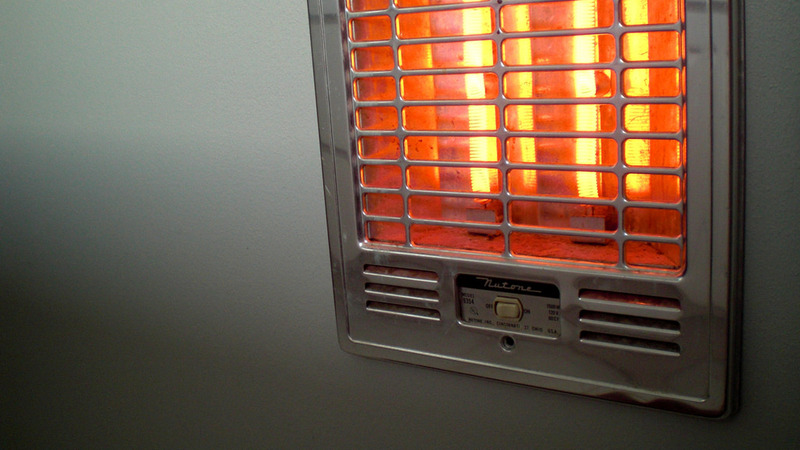 Portable heater– heaters included in your RV are often not super effective. A lot of the heat escapes outside through the venting system. Using a small portable heater will use your resources much more effectively and keep you nice and warm. Ice scraper- keep windows and other surfaces ice-free with a quality ice scraper. Winter wiper fluid- This is an important supply to have on hand for safe wintertime driving. Warm boots and clothes- this one may go without saying, but dressing warmly is an important part of staying safe and healthy during your cold weather travels. RV travel can happen year-round as long as you properly prepare your vehicle. Jason and Nikki Wynn from “Gone with the Wynns” follow these steps when preparing their RV for cold-weather adventures. Insulate hatch vents- Your hatch vent is an often overlooked place where cold air can leak in. Insulate windows at night– When you don’t need/want to let sunlight in, you can insulate your RV windows to trap in extra heat. Have tire chains ready- In some areas, it’s a legal requirement to have tire chains available on board when traveling with an RV during the winter. Either way, having some handy will give you extra peace of mind during your winter travels. Insulate pipes– As mentioned earlier, this will help prevent costly leaks and bursts. No one wants to deal with a faulty water system during an RV trip. Add skirting- Again, as mentioned earlier, this will keep pipes and lines safe and working smoothly. Use winterized diesel or diesel additive– Using this will help keep your engine running smoothly, no matter how cold it gets. Keep a window cracked to prevent condensation– besides using a dehumidifier, you can also crack a window to keep humidity out and mold from growing in your RV. Jason and Nikki also provide an option for low-budget winter RVing. Instead of insulating and heating all your water lines, you can completely winterize your RV (shut off the water, flush with antifreeze) and travel with jugs of water to use for drinking and cooking. When it comes to using the restroom or showering, you can use campsite bathrooms. Exercise- Doing a few jumping jacks, push-ups, or sit-ups in your RV will get your blood pumping and help warm you up during cold weather. Use your oven– Turning on your oven and baking will add some extra heat to your RV. This means you’ll get to enjoy some delicious baked goods as well as warmer temperatures! Face doors and large windows towards the sun– Making a conscious effort to position your RV in a way that will let in the most sunlight is a small thing you can do that will make a big difference in your RV’s temperature. Shrink wrap your screen door- You can buy window-wrapping kits to use on your screen door This will allow you to let in quite a bit of sunlight without the cold outdoor temperatures. Heath and Alyssa Padgett from “Heath and Alyssa” aren’t huge fans of RVing in cold weather. They recommend the following locations for wintertime camping if you want to avoid winter weather. Because propane tanks are a popular fuel source among RV-ers, it’s important to consider how you’ll keep propane running smoothly when temperatures are cold. As temperatures go down, so does the pressure in your propane tank. This means you’ll have to fill your tank more frequently to keep the pressure up (read more about propane tank pressure and temperature here) Ron and Tabetha Berry from “Extreme RVing” recommend using Powerblanket Propane Tank Heaters to keep pressure up and to save significant money on tank refills. When spending some time in Massachusetts during the dead of winter, the Berrys noticed that while they were using only one 30lb tank of propane each week with propane tank heaters, other campers were going through 100lb tanks in the same time period. Additionally, Ron and Tabetha recommend using a dehumidifier when using propane tank in more humid environments. This is because propane creates a “wet” heat that will increase moisture in your RV. What do you think of these winter RVing tips? Do you have any of your own to add? Let us know in the comments!